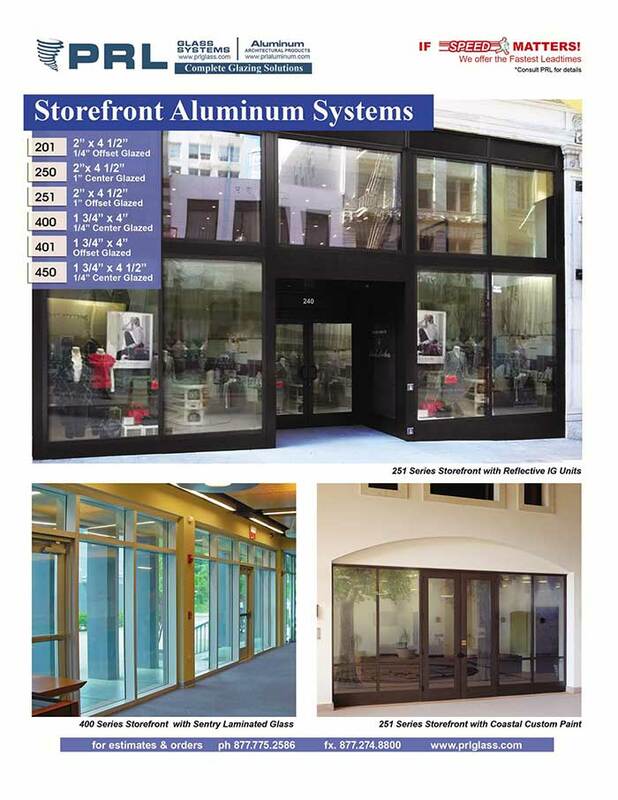 At PRL, we offer a full line of aluminum storefront products and services, supplying everything you need for a complete aluminum and glass storefront. At PRL, we offer a full line of aluminum storefront products and services, supplying everything you need for a complete aluminum and glass storefront. Let PRL take you from start to finish from shop drawings to job site delivery! An expansive selection of glass options such as: tempered, laminated, Low E, insulated and more! Product finishes in clear and dark bronze anodized, powder coat and Kynar paint. Because PRL extrudes and fabricates our own aluminum storefront systems, tempered and laminated glass, we provide the fastest lead-times in the glazing industry! 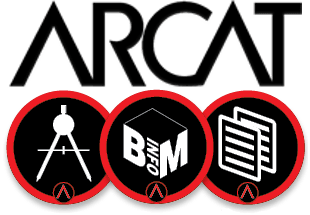 Applicable test reports are available on our website. For quotes or inquiries, please contact a PRL representative. Our job is making yours easier! From PRL’s warehouse to your aluminum storefront door, we have what you’re looking for!